Microdermabrasion is a non-chemical, non-surgical procedure that removes the outermost layer of dry, dead skin cells to reveal younger, healthier-looking skin. This procedure (sometimes called Particle Skin Resurfacing) uses a hand held device that sprays fine aluminum oxide crystals onto the surface of your skin under pressure & vacuum which provide gentle abrasion, or "polishing," to remove the outer layer of old skin cells. This procedure is not painful and does not require anesthetic, but feels mildly abrasive with a slight warming sensation as the crystals gently slough away the old and damaged layers. These crystals “erase” the skin's imperfections without damaging the skin's integrity. 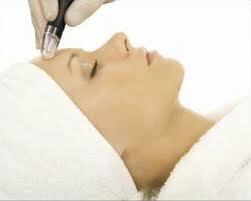 Microdermabrasion also stimulates new skin growth and encourages collagen production. Collagen is a protein in your skin that's abundant when you're young and makes skin appear taut and smooth. Collagen production declines as we age, resulting in looser, weaker skin and uneven in tone & texture. The results of this procedure is smoother, more radiant, youthful skin. WHAT SKIN TYPES & PROBLEMS WOULD BENEFIT MICRODERMABRASION? Dermaplaning is a simple and safe treatment that blades the skin on the face to remove the fine vellus hair (peach fuzz) and exfoliates the dead skin cells to reveal a fresh,vibrant surface. Will the “peach fuzz” on my face grow back thicker & darker and will I have to do this forever? Can I add this on to a facial? In a separate treatment dermaplaning takes approx 60-70 mins. Its main focus is to exfloiate the top epidermis, but will include very minor extractions and mask. It CAN be coupled with a Cleansing Classic facial and you get a slight savings. Pumpkin contains more than 100 beneficial nutrients which can help to reverse the signs of aging. This vegan certified peel contains high levels of Vitamins A & C and alpha hydroxy acids (Glycolic Acid) which help increase cell turnover. Pumpkin also contains minerals like zinc, the antioxidant beta-carotene, and cancer fighting carotenoids like lutein and zeaxanthin. These all help fight the causes of aging. They help promote skin healing, and restores skin's elasticity to give you a more youthful complexion. It is an excellent treatment for smokers as well as it stimulates circulation, promotes healing and provides vitamin nutrition. 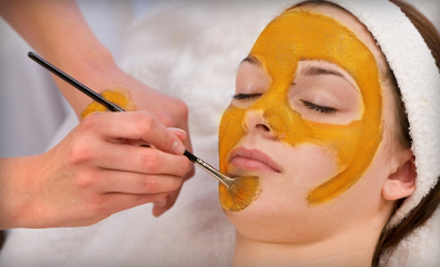 A Glycolic fruit acid Peel will be performed followed by the Pumpkin Mask. Skin will be glowing and extremely healthy-looking following the treatment﻿ with no "down time". A wonderful pick me up!